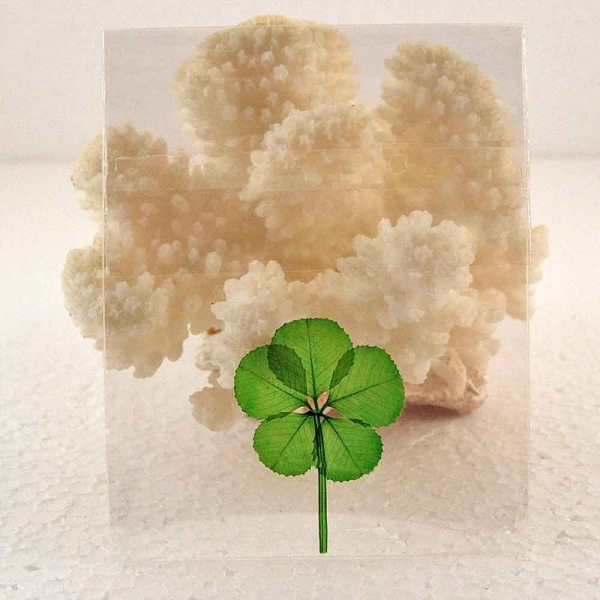 A lucky RARE genuine, five leaf clover that has been hand-picked from the white clover plant, Trifolium repens and received a 5 step process that has pressed and preserved the leaf in its natural green color that will last for years. The leaf is enclosed in a 2" X 2.625" crystal clear sealed cello sleeve. Clover can be removed from sleeve and resealed. Since the availability of five leaf clovers varies, these leaves may not always be in stock. You can see more 5 leaf Clover products HERE. We can supply a 5 leaf Clover in most any product. Contact us for placing a special order.